It's cold, dreary, and raining outside. That calls for a comfort food type of meal and this Ham and Cheese Baked Ziti is the perfect one! It's a great way to use up leftover ham and makes the perfect freezer meal. It's a popular dinner in my house and a simple and easy one! Melt butter in a saucepan over low heat. Cook garlic in butter 30 seconds, stirring frequently. Stir in flour and salt. Cook over medium heat, stirring constantly, until mixture is smooth and bubbly. Gradually stir in milk. Heat to boiling, stirring constantly for 1 minute. Stir in mustard and one cup of the cheese. Cook, stirring occasionally, until cheese is melted. 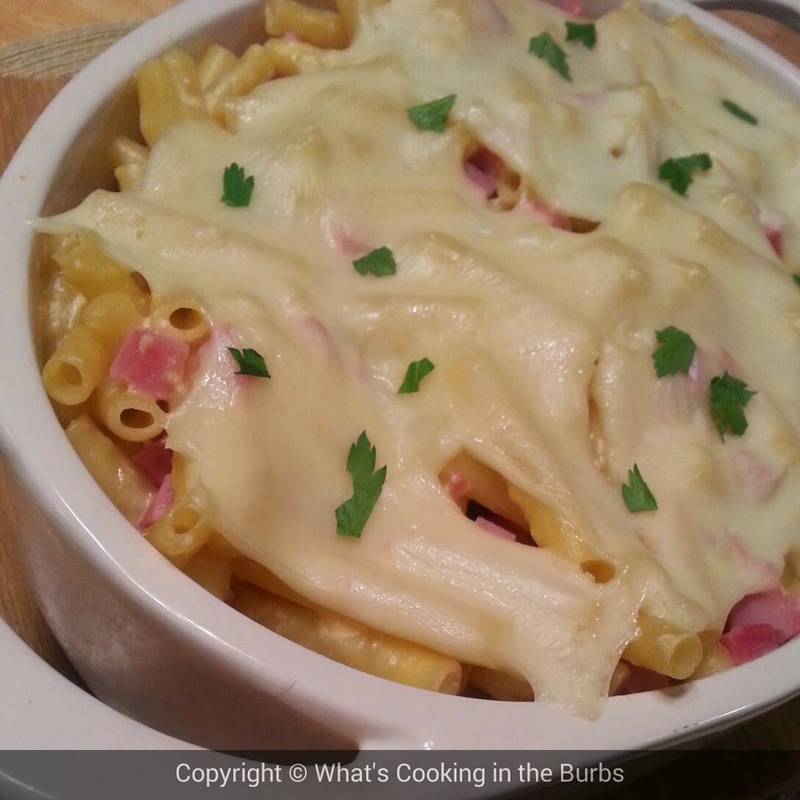 Stir pasta and ham into cheese sauce. Pour into ungreased 2-quart casserole. Sprinkle with remaining shredded cheddar jack and parmesan cheese. Bake uncovered 20 to 25 minutes or until bubbly. Enjoy! This sounds so great! My family will love it. HI Bridget! I'm stopping over from Let's Get Real today. I was just talking to my husband about how my youngest loves ham and pasta........and now you have combined them. Perfect! We can't wait to try this recipe.